On Saturday 12th December 2015 at 10.47am, a cyclist found the body. It was torrential rain and cold, but a man was lying on the path of the Chew Track from Dove Stone in the Peak District National Park. He wasn’t dressed for the climb or the weather, in corduroy trousers, slip on shoes and a jacket. He appeared to be about seventy years old. The man lay parallel to the path, his head facing uphill, his legs straight downhill. He looked like he was resting. He wasn’t and he had died a painful death. He appeared to have taken the poison himself and then lain down to die. He was calm, clear. Not suicidal. He had no ID. Just £130 in £10 notes and return train tickets, plus the container for the strychnine. 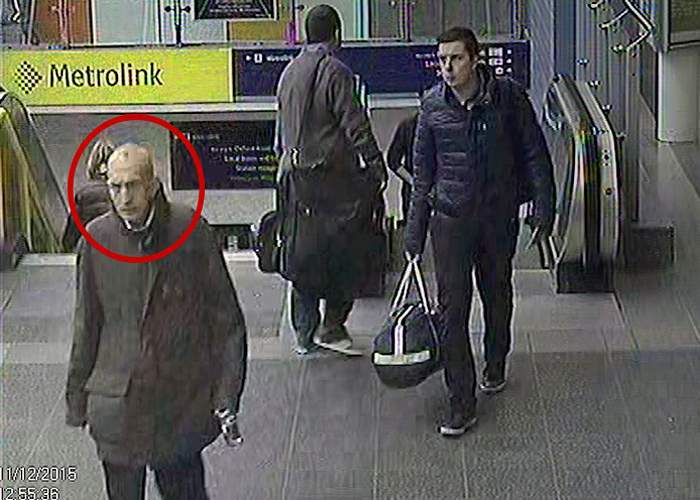 He is still unidentified , and now hopes are resting on the serial number on a titanium plate in his leg and the last reports are that this takes the investigation to a hospital in Pakistan. 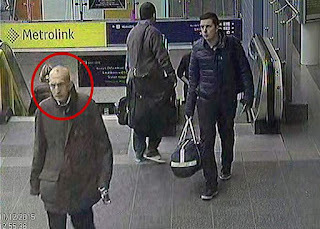 The big question, apart from who is he, is why would anybody travel 200 miles from London to die? Maybe if they find out who he is, they might find out why he did it. As everybody knows, Saddleworth Moor is closely linked with death and tragedy and this is yet one more to add to the list. Reports say that this unidentified body is the 42nd unidentified body found in the UK in 2015 and that is an appalling statistic. . The Irish man, missing for twenty years. 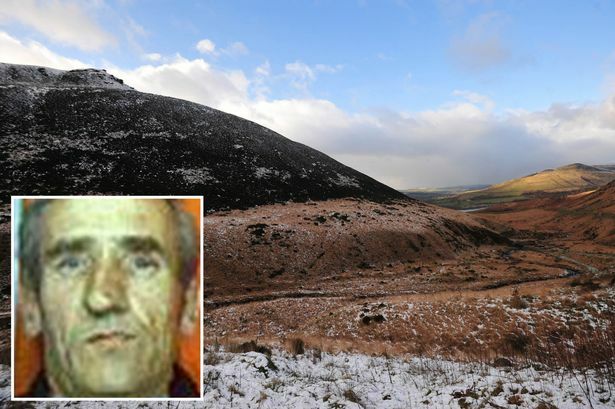 It was rumored that the body might be that of man from Northern Ireland who has been missing since he discharged himself from a County Armagh hospital over twenty years ago but DNA comparison with the man’s son have ruled him out. Similarly, it was suggested the body might be that of Stephen Evans who survived a plane crash at the beauty spot in 1949 when he was a child. He was the sole survivor of the crash that claimed 24 lives…..but then Professor Stephen Evans, as he is now, came forward to rule out that theory. And the mystery goes on…. And "Saddleworth Moor is closely linked to death and tragedy" because, "The Moors murders were carried out by Ian Brady and Myra Hindley between July 1963 and October 1965, in and around what is now Greater Manchester, England. The victims were five children aged between 10 and 17—Pauline Reade, John Kilbride, Keith Bennett, Lesley Ann Downey and Edward Evans—at least four of whom were sexually assaulted. 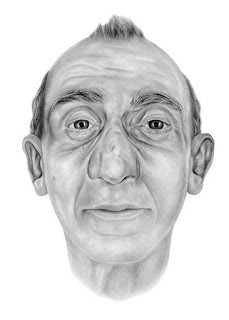 The murders are so named because two of the victims were discovered in graves dug on Saddleworth Moor; a third grave was discovered on the moor in 1987, more than 20 years after Brady and Hindley's trial in 1966. The body of a fourth victim, Keith Bennett, is also suspected to be buried there, but despite repeated searches it remains undiscovered." --thank you Wikipedia. My guess is that the recent decedent is somehow linked to that past...he's of the right age. Jeffrey Siger, P.I. And lawyer. And James Bond look-alike. And Jet-Setter Extraordinaire. Not to mention he seems to hang out with beautiful women. Everything you'd want in your personal P.I. Can you hear the patient tapping of my foot as I wait for EvKa's other shoe to drop? Hey. Can't a guy express what he sees and admires in another human being? Or is that too feminine??? Jeez, guess I'd better go back to my regular, lovable Rottweiler persona. Even better than fiction. I'm waiting too, Jeffrey. WOW. It would be interesting to learn the deaths were linked. Mysterious deaths like this are always weird when they happen in real life - it reads like a novel, only it isn't, and sadly we may never learn the full story. Hmmm, I think with Jeff's devious mind he could have a future as a crime writer! But I think/know that everybody who has been involved in the Moors Murders has been paraded in front of the cameras in a endless series of documentaries and will be until the day that Ian Brady dies. The fact that the unknown man asked how to get to the top of the hill suggested he was not a local.....but the idea of him being connected but at a geographical distance is very beguiling. Those crimes involved kids from a few close knit streets in Manchester..... interesting..